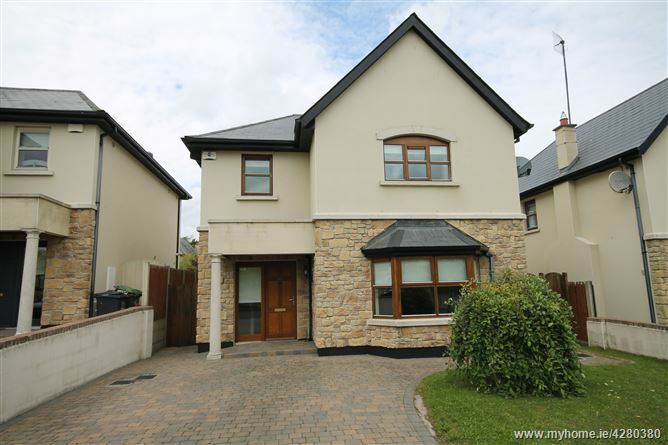 Walshestown Park is a modern residential development of semi-detached and detached homes built by Roseberry Construction at Walshestown on the outskirts of town approximately 1 mile from the town centre. 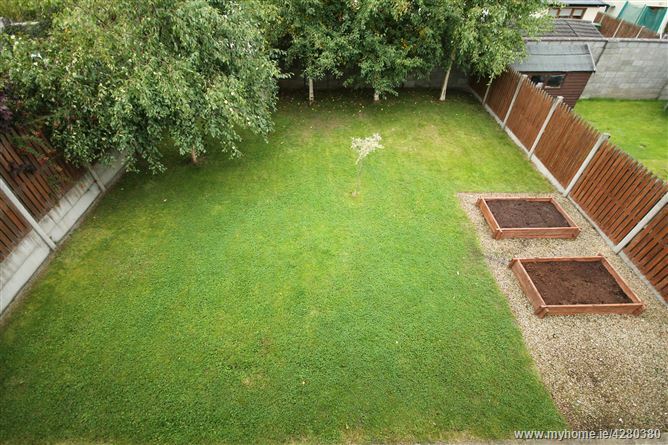 Approached by a cobble loc drive to front with side access on both sides of the house with gates leading to rear garden in lawn with metal shed. 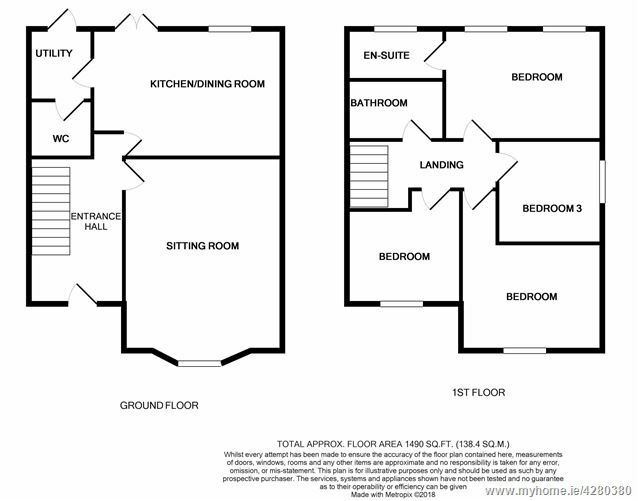 The property was built in 2006 and presented in good condition throughout offering well proportioned spacious living accommodation extending to c.1,500 sq. ft. (c.139 sq. m.) with features including double glazed windows, maintenance free sandstone and coloured rendered exterior, solid oak fitted kitchen with granite worktops and natural gas central heating. This is an ideal family home in an excellent sought after location which must be viewed to be appreciated. 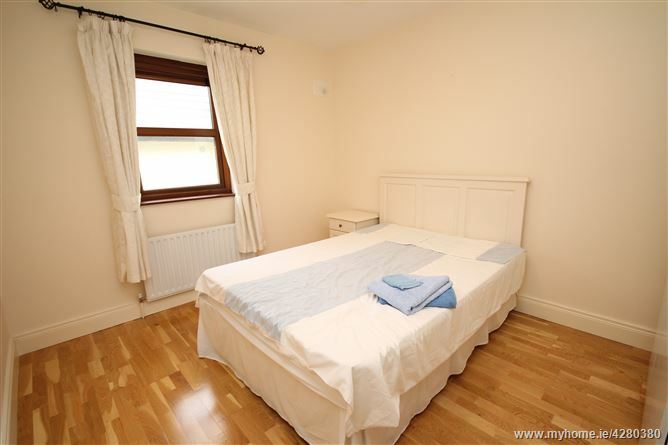 Newbridge offers a wealth of facilities on your doorstep with schools, churches, pubs, restaurants, banks, post office and superb shopping to include Tescos, Dunnes, Woodies, Newbridge Silverware, Supervalu, Lidl, Penneys, T.K. Maxx and Whitewater Shopping Centre with 75 retail outlets, foodcourt and cinema. Commuters have an excellent road and rail infrastructure with the bus route available from town centre, M7 Motorway access at Junction 10 or 12 and train service direct to the City Centre. 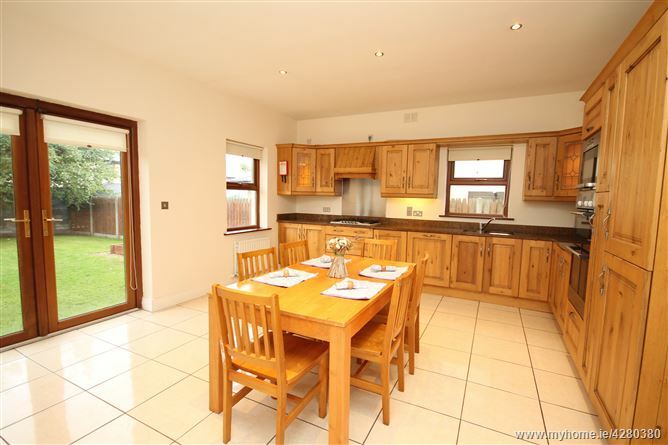 Local amenities include GAA, Rugby, soccer, fishing, horseriding, canoeing, golf, leisure centres, hockey, swimming and horse racing in the Curragh, Naas and Punchestown. Mains water, mains drainage, refuse collection, gas fired central heating, alarm. Carpets, curtains, blinds, metal garden shed, double oven, microwave, fridge freezer, hob, dishwasher and extractor. Osbornes, Abbey Street, Naas, Co. Kildare. •	Sandstone and colour rendered exterior. •	Solid oak fitted kitchen with granite worktops. •	C.1,500 sq. ft. (c.139 sq. m.). 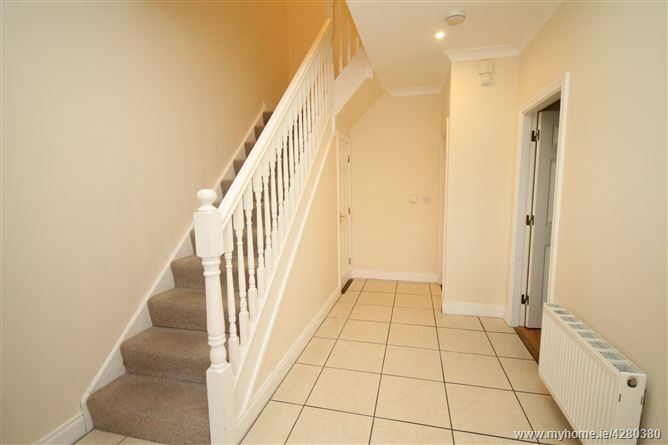 Hall: 4.68m x 2.82m with tiled floor, storage closet, coving and recessed lights. 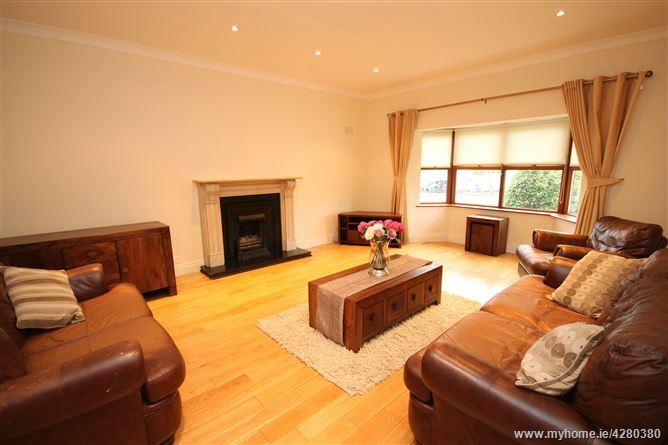 Sittingroom: 5.92m x 4.48m into bay window, oak floor, coving, recessed lights and marble fireplace. 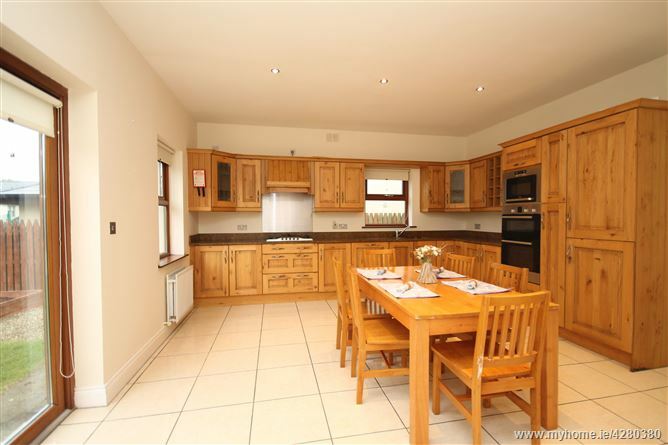 Kitchen: 5.07m x 4.57m. Solid oak built-in ground and eye-level presses, tiled floor, granite worktops and splashback, Whirlpool integrated fridge freezer, Beko integrated dishwasher, Bosch electric double oven, Whirlpool microwave, 5 ring gas hob, extractor unit, French doors to rear, recessed lights and hotpress (shelved with immersion). Utility: 2.2m x 1.96m. Granite worktop, plumbed, tiled floor and fitted presses. Toilet: w.c., w.h.b. and tiled floor. 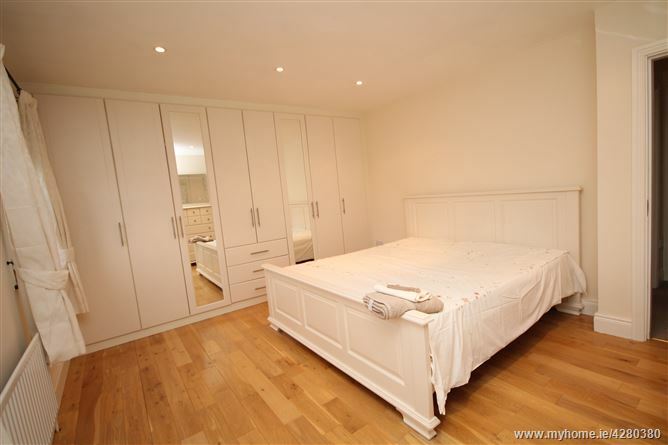 Bedroom 1: 4.1m x 3.78m with oak floor, range of built-in wardrobes and recessed lights. 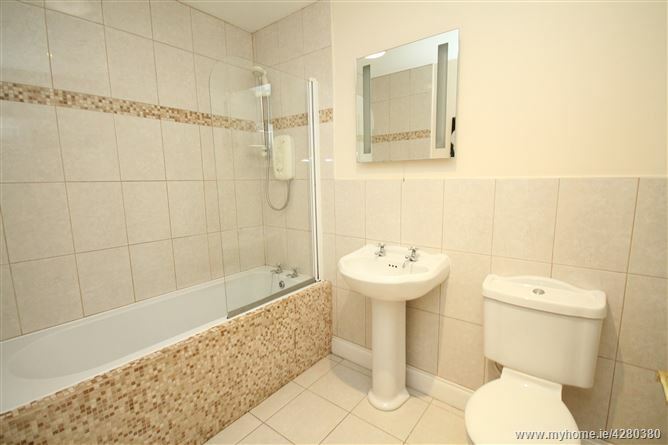 Ensuite: w.c., w.h.b., recessed lights, pumped shower, tiled floor and surround. Bedroom 2: 4.5m x 3m with oak floor. 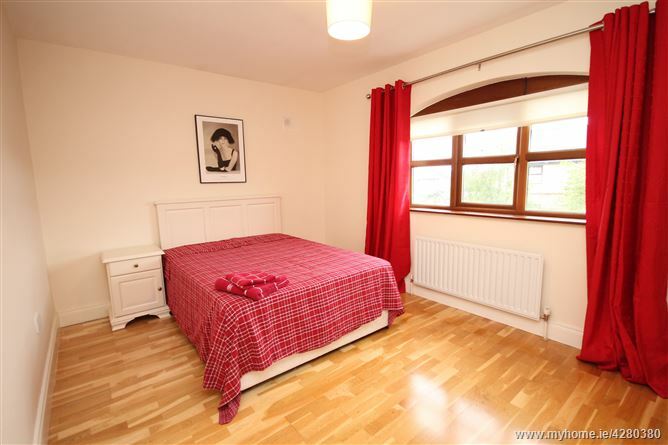 Bedroom 3: 3.5m x 3m with oak floor. Bedroom 4: 2.8m x 2m with oak floor. 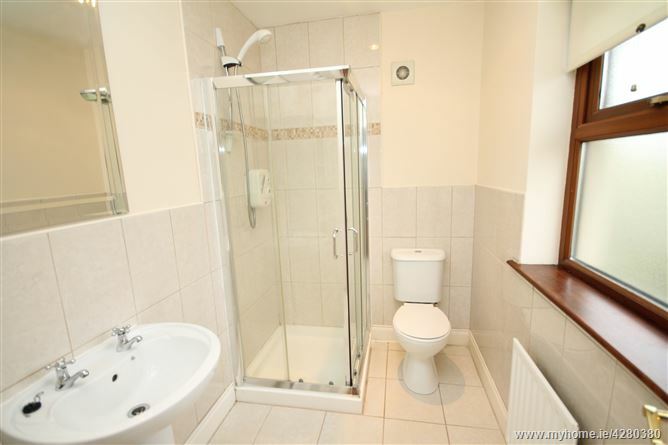 Bathroom: 2.6m x 1.8m with w.c., w.h.b., bath, electric shower, tiled floor and surround.